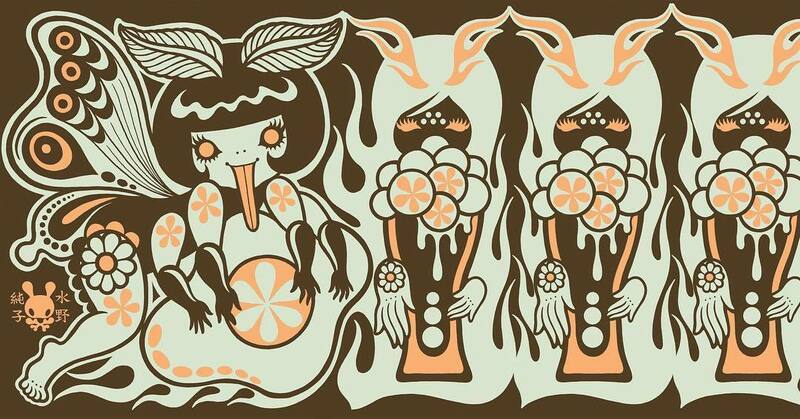 Junko Mizuno's new website is finally open! The blog has been moved to the new site as well so you can read my latest news there. This post is going to be the last one on this blog. Thank you! NOTE: Ad links on this blog are not related to Junko Mizuno. 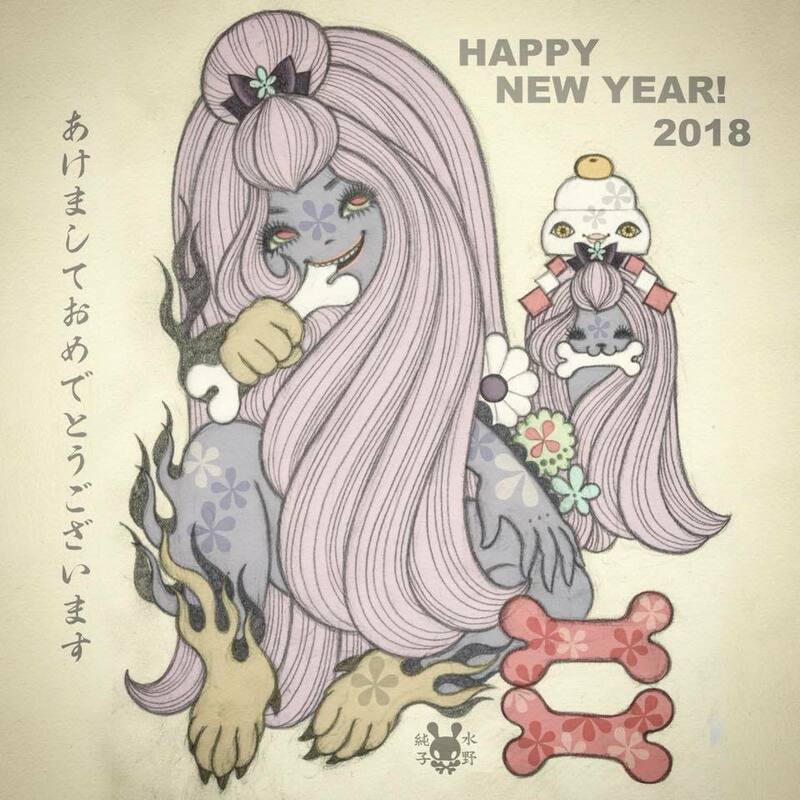 JUNKO MIZUNO FIGURINE at ... IKEA !! Do you know IKEA? I’m sure you do! How about IKEA Art Event? Every year, IKEA invites contemporary artists from around the world to co-create art that can be put in any home. 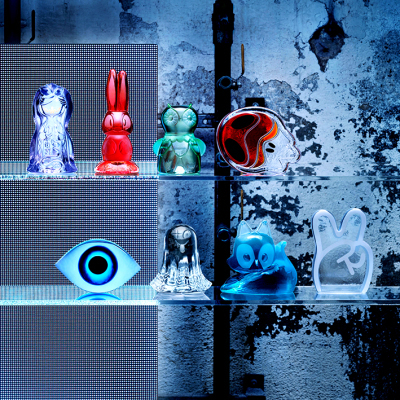 For 2018, they decided to mash up designer toys & handmade Swedish art glass and create a series of art glass figurines. 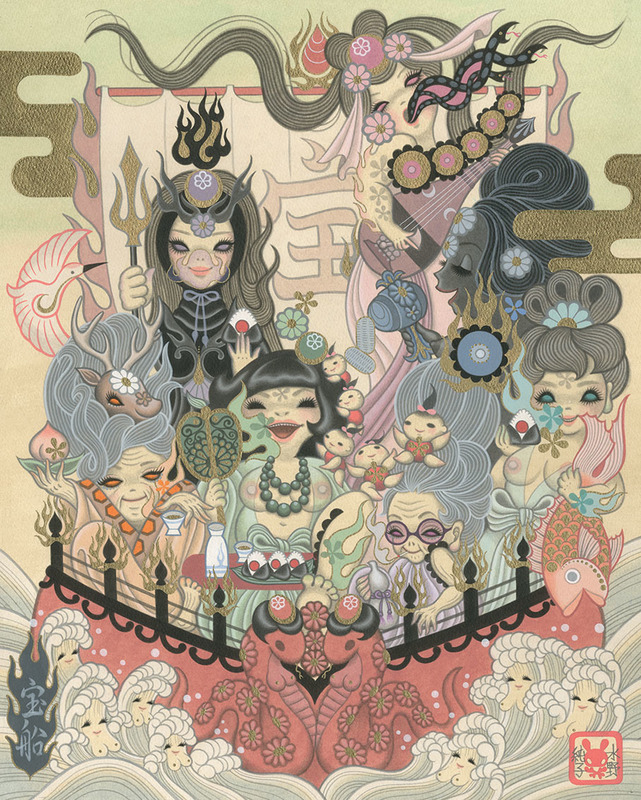 Junko Mizuno is one of the eight artists taking part in this project. She designed an owl girl, that was made into a glass figurine called 'Nocturnal' by the most skilled glass masters in Sweden. They'll will be available for a limited time starting in April 2018, but looks like some IKEA stores in theUS are already selling them. The photo below was taken at the Burbank store by Joe Ledbetter. Availability depends on the area you live. Some locations/ online IKEA stores may/may not have them. 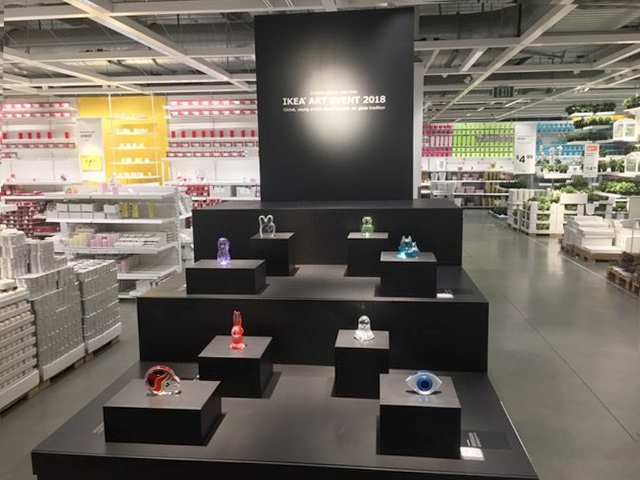 Please contact your local IKEA store or their online store directly and ask if they'll have IKEA Art Event 2018 glass figurines! Thanks! My mini art show 'The Witch, The Nurse and The Wrestler' opened on December 16th. Thank you so much to everyone who attended the opening reception. All the artworks are now available for view/purchase online here. Some pieces are still waiting for their new owners! And here's good news to the people who missed the opening... This Saturday, we are having a closing party of the show! Making its debut at the event is the Junko Woot Bear resin figure! 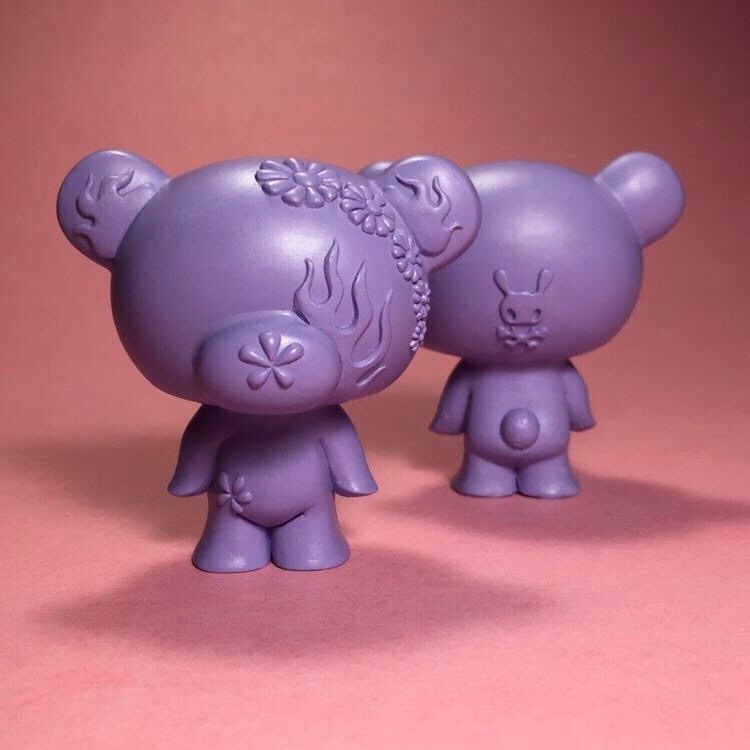 Exclusively designed for Woot Bear by Junko Mizuno, sculpted and hand casted by Scott Wilkowski. Green and Lavender colorways will be available for online purchase. Limited multi-color assortment will be available at the closing party from 6-9pm. Both Junko and Scott Wilkowski will be in attendance, so don't be late for the party! Stay tuned for more info. Follow our social media for the latest updates! 'The Witch, the Nurse & the Wrestler' show will be on display until January 16, 2018. ‘DARKNESS IS COMFORTING’ ARTICLE ON BROADLY. Erin Floyd from Vice/Broadly interviewed me and wrote a great article about Japanese female artists. 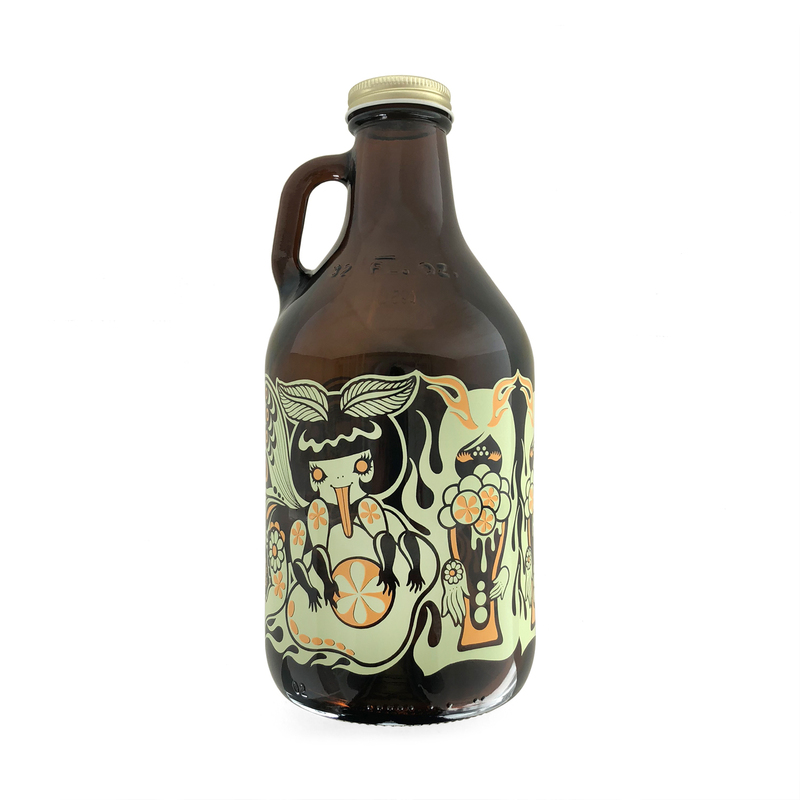 In my blog post in November last year, I announced that my beer growler would be available online at Nucleus Portland on January 3rd but the release date has been pushed back. Each limited edition 32 oz. growler comes with an exclusive enamel pin! Due to the very limited release, there is a limit of one purchase per customer. Please contact Nucleus Portland for questions. Thank you! MINI ART SHOW AT WOOT BEAR SF! 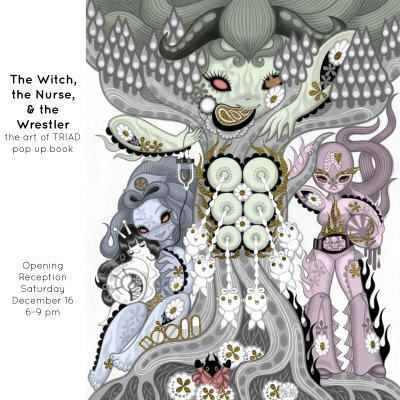 'The Witch, the Nurse, & the Wrestler - the art of TRIAD pop up book' is a mini art show about my pop up art book TRIAD published by Poposition Press earlier this year. Original paintings of the pages will be on display along with original drawings of characters & elements that I created just for the book. 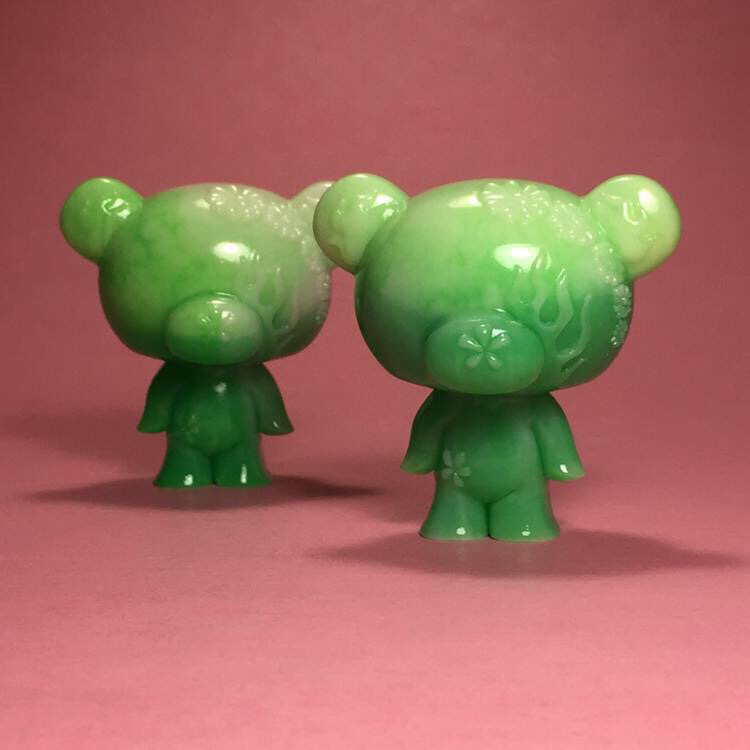 Also, Poposition Press will be bringing large pop up pages for display and attendees can catch the first glimpse of my Ikea glass figure that is coming out next year and the Wilkowski/Junko collaboration Woot Bear figure. Prints & books will be available, too! If you are not able to make it to the gallery, you can see/purchase the pieces online here! My new drawing, Sukeban Unicorns (Sukeban means 'girl gang') is on display as part of the Unicorn II Group Exhibition at Nucleus Portland right now until January 11, 2018.You can see/purchase all the pieces in the show online here! 'Takarabune' was the main painting for my solo art show at Gallery Nucleus in 2016. Now it's available as a giclee print! The Seven Lucky Gods (七 福神, shichi fukujin in Japanese) on it. The ship is often depicted in paintings and sculptures and has been appreciated by many because the image is believed to bring good luck. Only one of them is supposed to be female but I created my own, all-female version of The Seven Lucky Gods for this painting. During the Edo period, it became a popular custom among common people to place takarabune pictures under one's pillow on the second night of the New Year to induce auspicious dreams and resulting good fortune. Get your copy now at Gallery Nucleus online store! My new drawing 'Stairs' will be on display as part of 31st Anniversary Drawing Show at La Luz De Jesus Gallery in LA. The piece is already up and available on their website. I won't be able to attend the opening but come see my piece and all the other amazing artists' drawings in person if you are in LA!